Hurry up to join photo contest! The Administration of the State Historical-Architectural Reserve “Icherisheher” and the Organization of World Heritage Cities (OHWC) are inviting professional and non-professional photographers worldwide to participate in a photography contest. 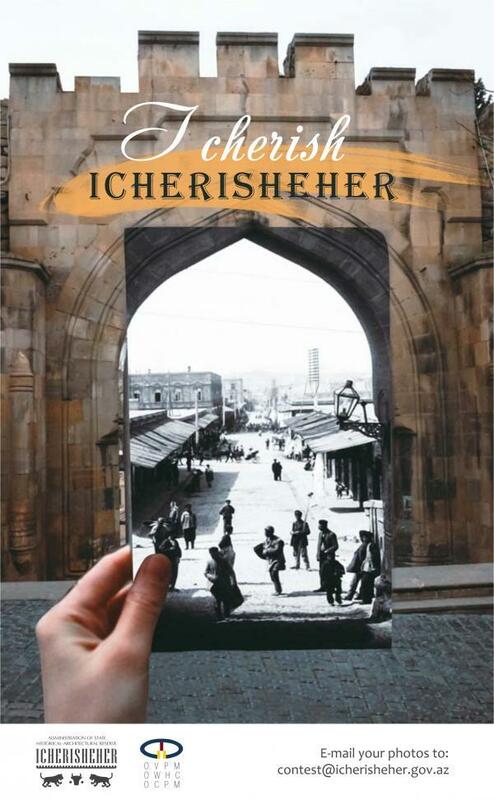 The theme of the photo contest is the daily life in the World Heritage City with the focus on the Icherisheher - Old (Walled) City of Baku - a part of the UNESCO’s List of the World Heritage since 2000. Photographers wishing to take part need to submit at least one high-quality photograph inspired by any of the UNESCO’s World Heritage sites or monuments together with its caption and brief description. Selected photographers will be invited to Baku. They will photograph and illustrate the inspiration of the daily life in the Old City. All travel and accommodation expenses will be covered by the Administration. Their photographs will contribute to a wider visibility, promotion and popularization of the monuments of the World Heritage site located in the capital of Azerbaijan and are expected to deliver a brand new vision and perspective of this ancient fortress and its daily life to the global community. A caption should be included as the image name and its brief description should be included to the body of the message next to the name of the image (could be the name of the monument/World Heritage site etc). Example: Old_tree.jpg ; Description: This is the oldest tree that has grown in Kathmandu Valley throughout decades. Size of initial image submission is maximum 700 pixels wide. Contestants will be asked to submit a full resolution image at a later stage of the contest. The closing dates for entries is April 30. To take part in the contest please send your photos by April 30 to contest@icherisheher.gov.az “I Cherish Icherisheher” theme.